What now? Maintaining your PR integrity in the post-truth era. This October, we'll be hosting our annual one-day conference on all things public relations, marketing and communications, bringing together PR professionals from New York, New Jersey and Connecticut. Attendees will glean insights from PR and marketing experts covering the issues, topics and trends on every PR practitioner's mind today and thinking into the future. Our 2016 panel sessions covered influencer relations, the evolving landscape of content creation and distribution, crisis communications, the art of the pitch, measurement and analytics, and so much more - and 2017 is set to be even better. Who should attend? In your first few years in the world of public relations? Veteran of the industry? Still in school learning the ropes? This event is perfect for PR professionals at every stage of the game. Join us for intriguing conversations and to network with your peers! Over 200 PR and communications professionals attended the 2016 PRSA Tri-State Conference, “Modern PR: Engaging in a Digital World,” to network and learn from leaders in our industry. Check out our recap of the event if you missed it! Melissa Ben-Ishay is a mom, a baker, and the founder of Baked by Melissa, the New York City-based brand famous for its signature, bite-size cupcakes and treats. Passionate about baking since childhood and with the idea that people should be able to taste more flavors without a post-dessert guilt trip, she decided to do what she loved and launched Baked by Melissa in 2008 after being fired from her job in advertising. Today, the company operates 13 stores and ships nationwide. Ben-Ishay currently serves as the company’s President and Chief Product Officer. In October of 2017, she will release her first cookbook, Cakes by Melissa. Diversity in PR - To PC or Not to PC? We're getting down and dirty to talk truth and integrity in public relations. The early PR pro gets the hottest coffee! Come early, grab breakfast and settle in for a day of engaging conversations. PRSA Tri-State District leadership team will provide opening remarks along with the local state chapters. When an assistant media planner gets laid-off from her job amid the Great Recession, what does she do next? Start a multi-million dollar cupcake company! Hear the inspiring story of how Melissa combined her baking and marketing skills to create a thriving business in a sector that analysts were labeling a fad. Melissa will discuss her communications strategy and how authenticity, great branding, and hard work can be the right ingredients for a start-up or product launch. Want to avoid the producer hitting the delete button? In this session you will learn what producers are looking for when they’re seeking content, and what they just don’t care about. You will learn how to create subject lines that make them to want to know more about your story, and how to craft high-impact pitches that turn a good story into an irresistible one. Although the public relations industry has made strides to become more gender diverse over the last 20-30 years, a wide racial gap persists. According to PRSA, “Many studies indicate that the industry still struggles to attract young Blacks, Asians and Hispanics to pursue public relations as their career of choice.” This panel will look at measures being taken to improve the attractiveness of the industry and brainstorm ideas for what else can be done. The panel will consider whether agency / department managers have a responsibility to make their staff more diverse, and the proper steps to take when recruiting new talent to ensure diversity in the workplace. Three of the most innovative PR tech companies on the planet showcase their apps. Meltwater, Muck Rack and Cooperatize are fast-growing software-as-a-service (SaaS) companies. Meltwater and Muck Rack provide media monitoring, business intelligence, and real-time media engagement to PR firms. Cooperatize is the market leader in connecting brands with social media influencers. Brief demos will be followed by your chance to ask questions. In a few short years, Uber went from being a local black-car-hire service in the Bay Area to one of the most highly-valued and most talked-about Silicon Valley start-ups. How did it happen? Allie Valasek shares stories and insights from her tenure as Head of Consumer Communications at Uber. Valasek is also a Twitter alum, having served 4 years in the role of Communications Director. What impact has the leading news story of the past year had on the PR industry? Are publicists one more part of the propaganda machine? Does our industry bear some responsibility for the demise of truth? This expert panel will examine how we got here and look at how “alternative facts” may or may not continue to reverberate in the year ahead and beyond. Lisa Kovitz (Moderator), Managing Director of Consumer Media, Edelman U.S.
Beginning with the launch of Meerkat and Periscope in 2015 and continuing with the public launch of Facebook Live in 2016, live streaming has become one of the hottest and most responsive digital outreach platforms. In this panel, we’ll look at what goes into a successful live-streaming event and what the future of this fast-growing area looks like. Steve Barrett (Moderator), Editor-in-chief, PRWeek U.S.
What do you do when the worst case scenario is on your doorstep? Crisis management is the toughest specialty in our industry. It requires versatility, nerves of steel, and the ability to lead others. These panelists will share war stories and best practices, as well as give their insights on some of the past year's most public crises. Learn how the pros are handling new threats such as internet trolls and unfiltered social media in the age of the 24-hour news cycle. Paid, Earned, Shared, Owned. Until recently, publicity and advertising were completely separate functions of the marketing department. Publicists were responsible for garnering Earned media for their clients (stories and articles placed that run free of charge). Today, publicists work alongside the advertising (“P” = paid) and social teams (“S”). We're also on the teams responsible for the company website, publications, and intranet (“O” = owned media). In a small firm, the communications specialist wears all of these hats. Join us for happy hour and networking at Sweetwater Social (643 Broadway, at Bleecker, just a quick walk from NYU). One drink free for first 50 conference attendees. 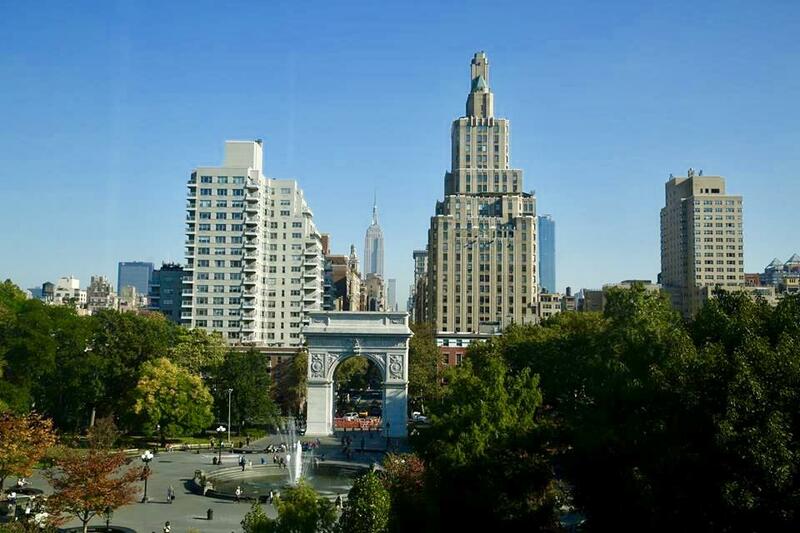 The 2017 PRSA Tri-State Conference will take place at the NYU Kimmel Center for University Life near Washington Square Park. The Public Relations Society of America (PRSA) is the nation’s largest community of public relations and communications professionals. PRSA is organized into 10 regions, called districts. The Tri-State District covers New York, New Jersey, and Greater Connecticut chapters. PRSA’s Tri-State district is a unified voice for the interests of members throughout the region to the national office, addressing issues of common interest. These regional groupings of chapters provide support, shared resources, and leadership cultivation for the next generation of professionals to lead the association and serve as advocates for the profession. NO REFUNDS. Admission for one to the 2017 PRSA Tri-State Annual Conference. NO REFUNDS. Group pricing on tickets for admission for one to the 2017 PRSA Tri-State Annual Conference. Buy two or more tickets and save $20 per ticket! NO REFUNDS. Admission for one CURRENTLY ENROLLED STUDENT (undergrad or grad - requires a .EDU email address) to the 2017 PRSA Tri-State Annual Conference - student rate.